Imagine that you run an e-commerce to sell great products. The e-commerce website is also supported by great customer service. But, what if your website does not respond quickly when the candidate consumers click the product details? This problem has something to do with web hosting service that supports your e-commerce website. The consumers will go away and visit another website if your website loads too long for product details, for orders, or for payment process. Load time is very important in determining the conversion rate. Therefore, make sure you have a professional web hosting service address the problem. A stable backup solution is necessary to ensure security of you online data. In case that the website is attacked, you can retrieve all the contents and get the e-commerce run well quickly. Attackers will always try to steal your data. Therefore, make sure to anticipate all the possibilities by backing up the data on the cloud. The data backup is important not only for the web host’ data, but also for the data you input into the web. Professional tip suggests you to try one-click off-site backuo service. It allows you to retrieve the data online immediately. You cannot guarantee that your online activities are 100% safe from attacks. Security is always a top problem when it comes to internet use. However, you still can do something to minimize the risks of malware, virus, or malicious attacks. These put not only your customers’ information but also your business at risk. SEO experts suggest hiring a web hosting service, which uses encryption technology. This may apply between the server and the user or between the business server and the web host server. Encrypted communication enhances protection against hackers. When your business grows, the need for online activities also increases. You have more customers, more sales, and more transactions. The question is “Is your e-commerce website ready for increased activities?” The answer lies on the scalability of the e-commerce platform. 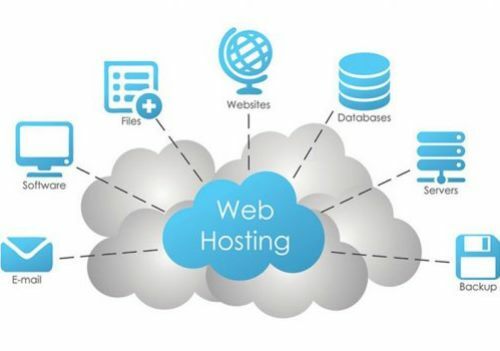 Therefore, make sure to have a web host, which grows along your business. Get detailed information on the uptime guarantee offered by the web hosting service. The closer it is to 100%, the better. Why? Even a single-minute delay in processing purchases or responding questions from the customers can translate into transaction failure. The customers will look for another e-commerce that offers faster response. The uptime guarantee is determined by server capability and team support. You can check the customers’ testimonies and reviews on the web hot providers’ website before making a deal. Make sure the one you choose is positively endorsed by reputable and real customers. Check the customer support by contacting the phone line posted on the Contact page. See if the customer services respond quickly and answers your questions accordingly. Then, you can make an informed decision after studying the agency in holistic way.